This pink maxi dress is nailing this season's must-have trend. 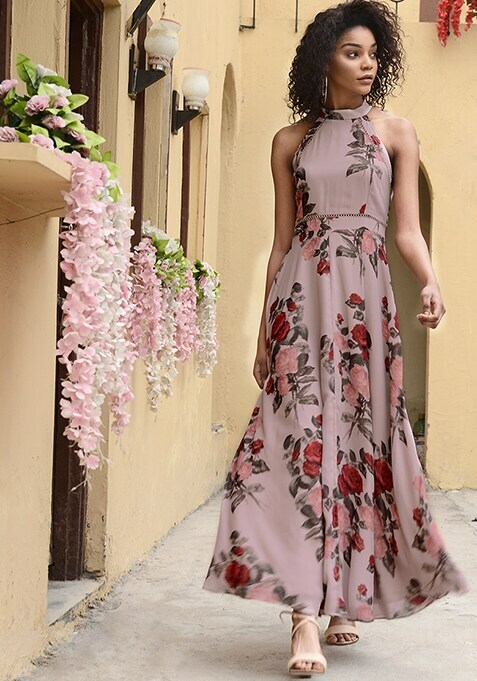 Featuring floral print, this dress has a halter neck and it is sleeveless. Work It: Team this maxi dress with simple heels and complete your look with a sleek clutch.